If you have an Android phone, you can overclock the processor and it will become much faster at the expense of your battery life. What’s more, it could get heated more quickly. Something’s got to give. Similarly, at the workplace, if you make people work overtime without proper compensation or work environment, they could quit or fall sick all the time. An employer who cares to ensure this doesn’t happen will reap the benefits of looking after their workforce. It could be as simple as providing adjustable standing/sitting tables, so people don’t mess up their backs. Or snooze rooms to catch their forty winks. Or be allowed to take as many breaks possible, so long as they are meeting their deadlines and doing their job well. Similarly, instead of boardroom meetings, you could go around campus and engage in talks. Companies can provide bonuses to employees who complete certain health challenges or have an in-house physiotherapist whose only job is to fix the aches and pains of the employees engaged in sedentary activities. Of course, who doesn’t need ergonomic chairs, keyboards and mice? Just creating a fantastic-sounding vision and core values is not it. A company has to walk the fancy talk. That translates to allowing every employee, no matter the designation or seniority, to suggest things for improvement. Importantly, there should be a screening committee whose only job is to look at these complaints, suggestions and feedback and act on them. Since employees are closer to the job they do, they are also the best people to tell the company how that work can be done better. Not only will this make the employees happier but also make the firm more productive and importantly, more human. Want to know where employees love to work the most? Forbes has one such list. No information in the company should be beyond a person’s pay grade. That’s real transparency and accountability. 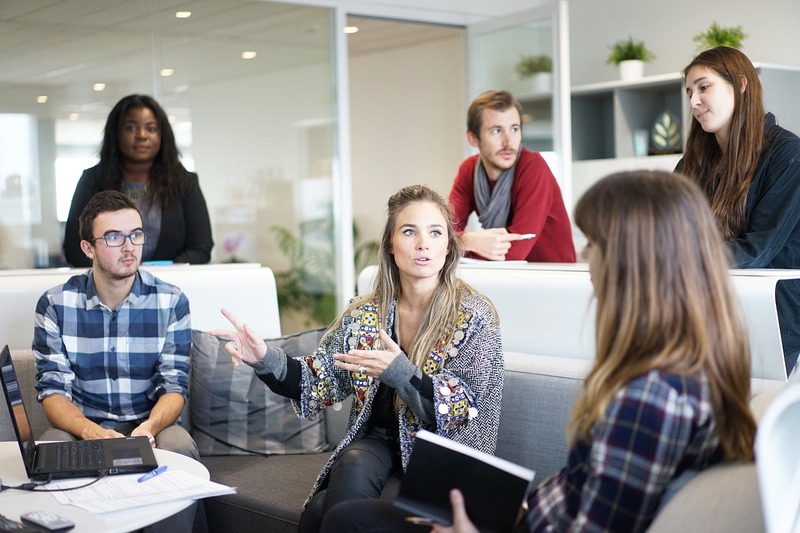 When the employees learn why the company is behaving in a certain way, they are able to figure out the process more humanely and put their heart and soul into it and make it work as they now share a common goal: to drive business productivity. When each department is functioning independent of each other, there is no shared vision, and employees who have nothing in common can never be driven to do better. They get plain bored and leave. When an employee is good and wants to get better, the company should ask them to own the department and run it their way. If the person takes it up, it shows that the company not only trusts them but also allows the spirit of innovation and decentralized power. Importantly, the firm is turning an employee into a business partner who is showing signs of an entrepreneur. Tomorrow, that same person could quit the company and become a raw material supplier for the organisation he worked for. And the firm is much happy to deal with them rather than a new or even a far more accomplished supplier because they know what their former employee can deliver. This is how companies can encourage entrepreneurship. For those who have it in them, the organisations should give them a free rein, so they can do more, and be more. Work is worship, but don’t let that make you sacrifice your time and that of your family’s. Balancing work and life can go a long way in ensuring peaceful existence. Take up a hobby. Pursue your other passions. Get a contract job fromWork Flexi. With a fixed term contract, you get to do what you want and take a month’s break after completing your term. The best part? Work Flexi will pay you one month’s basic salary, so you can rewind, reboot and restart your next job or pursue one of your many passions. That’s real work-life balance. Welcome home. Welcome to work flexing.